The staff and location were the best part. They were very helpful in assisting us with some logistical issues and with organizing some bookings. 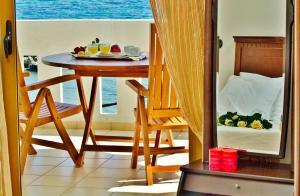 The breakfast they offer is worth the price but is less expensive if you purchase there than through your room booking. It’s all from scratch and fresh food. This was a spontaneous stop as we wanted to get an early start to Balos Beach. The hotel is on a quiet side street and the people working at the desk are very kind. Beautiful and well located on the west side of Crete. Clean modern room. Nice breakfast an beach service. Good swimmimg beach. Nice shops in town. The reception and service was the best! The view and proximity to the ocean was outstanding! We will be back! Excellent. A place where you want to stay more and more. It’s small and quite hotel with nice beach and sun beds. Everyone is very nice and you feel as at home. Very good value for money. 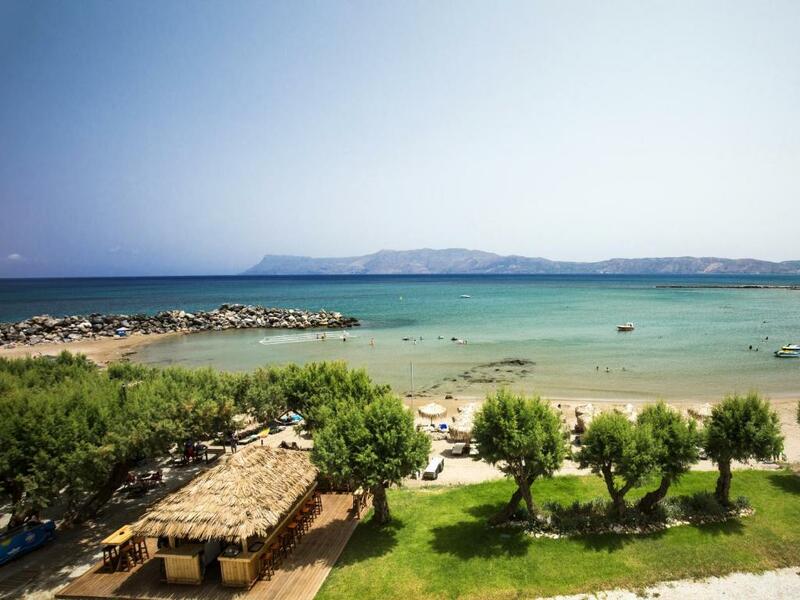 Hotel is very close to beautiful beaches in Crete: Elafonisi, Balos. If you have a car it’s short drive and totally worth it. Great restaurant right at the corner of the hotel. Staff , location, super clean, great breakfast, balcony, beach and recommendations! 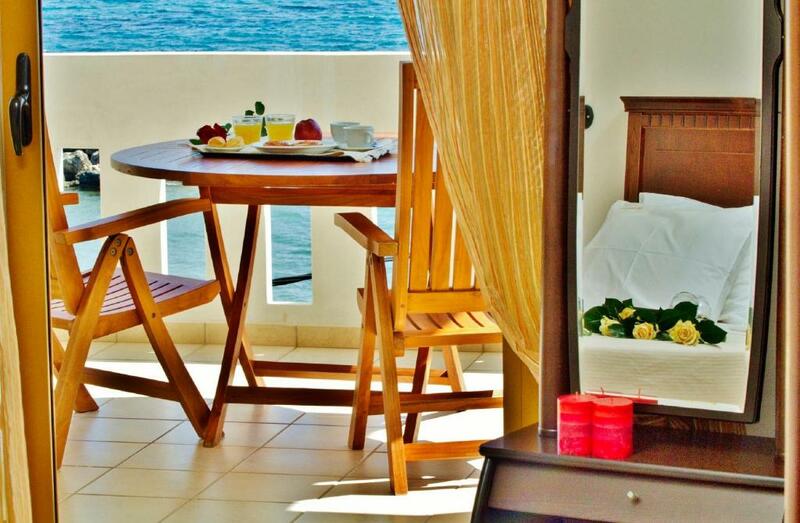 Lock in a great price for Aphrodite Beach – rated 9.4 by recent guests! 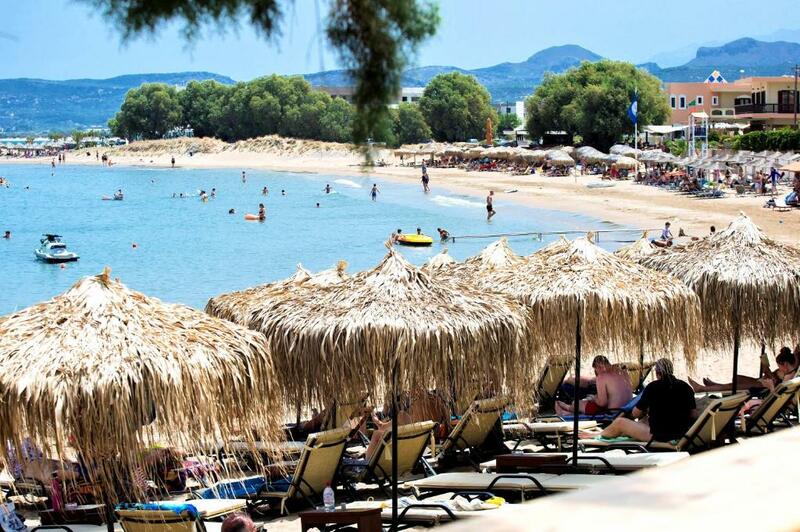 One of our top picks in Kissamos.Aphrodite Beach Hotel is located on the sandy beach of Mavros Molos in Kissamos. 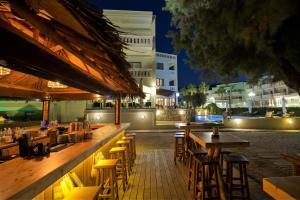 It features a swimming pool, umbrellas and sunbeds on the beach and offers free WiFi throughout. Each with a furnished balcony with sea, garden or mountain views, the spacious units at Aphrodite Beach include air conditioning, small kitchen corner, a satellite TV, hairdryer, toiletries and safe. The hotel serves a buffet-style breakfast with Cretan products. Drinks, cocktails and snacks can be enjoyed next to the pool, in the seating areas provided in the garden or in the beach. Aphrodite Beach Hotel is 2,650 feet from the center of the town and the Kissamos Archaeological Museum. Chania International. Airport is 31 mi away, and the Harbor of Souda is 25 mi away. Free public parking is available across and on site. Front desk can assist with tours, taxi service, car rental, beauty care. 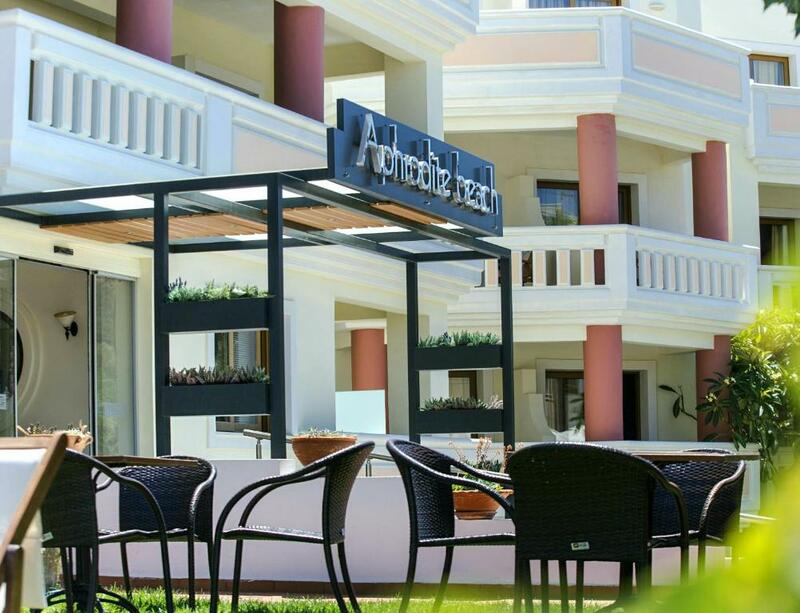 When would you like to stay at Aphrodite Beach? This air-conditioned studio features a flat-screen TV, kitchenette and private bathroom with shower. The spacious apartment has a separate living room with dining table. Boasting side sea views, this air-conditioned studio comes with a kitchenette, flat-screen TV and private bathroom with shower. This beachfront apartment has a balcony, sofa and kitchenware. This seafront room features a flat-screen TV and private bathroom with shower. Situated on the west corner of Crete in beautiful Kissamos province of Chania APHRODITE BEACH hotel welcomes you to its spacious rooms by offerning discreet cretan hospitality during your summer holidays. House Rules Aphrodite Beach takes special requests – add in the next step! Aphrodite Beach accepts these cards and reserves the right to temporarily hold an amount prior to arrival. Beach was average, though made safe for people to swim from open ocean. A very nice hotel on beachfront.The room was nice, good pool, nice breakfast. Very reasonably priced. The WiFi Internet was absolutely terrible but not sure it was an issue with the hotel or just this area of the island. That’s really the only thing that was a problem for us. The location was amazing for exploring around the western part of Crete working as a base location. My room wasn’t ready, so I receive an upgrade (which was great! Very modern room), but next day I had to move to the room I’ve booked, so it didn’t look good at all! Even though it was a good size, it wasn’t modern or comfortable, specially compared to the room I had the night before! Great staff, very good breakfast! The beach in front of the hotel is nice, a short walk from the center, a great place to stay and explore the beaches on the west side of the island. We liked everything ,it was superb,best holliday stay. The beds were goood,breakfast exellent.The location wonderfull and the owners so kind and helpfull. The bed in our room was very soft, a bit uncomfortable to sleep in it for two people. however, we where given an upgrade with a sleeper couch which was made up for me upon request. Special compliments to hotel staff who is very helpfull and friendly. They also have a nice hotel beach to chill a little after a nice breakfast. We stayed 3 nights because it's a nice place from where you can explore nature and villages around. Shortened by one night so we could go to Heraklion. Crete is very big!! Personal is the strongest part in the hotel :) everyone is very friendly. Breakfast is great, every day something new on the plates, fresh and tasty, really greek kitchen :) Beach with water is clean, sand is soft. Everything you need for a calm holydays. Beach, good restaurant next door, breakfast, proximity to Balos and Falasarna. We arrived at 2:15pm thinking we were right on time to check in - were asked to wait 15 minutes as the room wasn’t ready. No apology, water or courtesy drink while waiting. After 15 mins I approached staff asking how long will it be, were told to wait for another 5 minutes. I advised we had been driving for 2 hours, and was told by male staff “we’re talking about 5 minutes wait, not 1 hour” We did not mind waiting but just wish the staff had some empathy and make us feeling not being ignored. Apparently they don’t guarantee checking in time at all. We were told that even though guests arrive after 2 pm but your room could be ready anytime between 2-4 pm. And they think it’s not their fault and perfectly reasonable. So please beware. More confusion about breakfast, we were told it’s included. However, after we finished eating and walked pass reception, the staff said “actually your room isn’t included breakfast. You have to pay €16” (again no apology) After the dispute, she waived the cost for us.